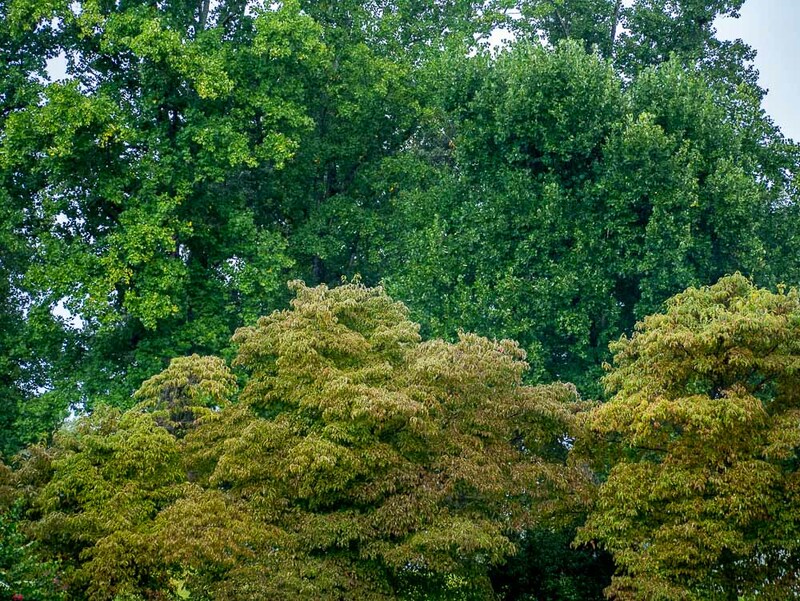 Just a hint of Fall colors here in SW Virginia, with our Dogwood Trees turning slightly, backed by still bright green Tulip Poplars, which by the way have devilish leaves to clean up after they hit the ground later in the season. Thankfully, we have a yard man and crew to deal with it all. Such goes with my age and relative health–help from yard man and crew that is. I’m not sure what the proper name of these flowers is, but we call them “Chickens.” I just transplanted this bunch to this location and they seem to be doing fine. 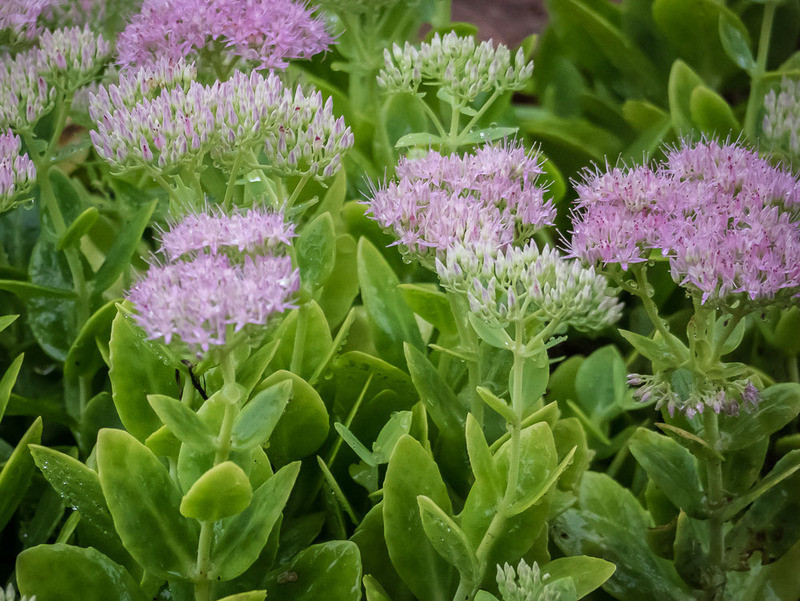 The bushy flowers turn pink in the Fall, then the whole plant dries up waiting for Spring. We’ve been having late season thunderstorms here in SW Virginia, and yesterday afternoon we lost electric power for several hours. Short outage thankfully. But, it was still dark in the house given the gully-washer rains outside with dark clouds. Thus, out came the emergency lantern, which serves well on the kitchen table. 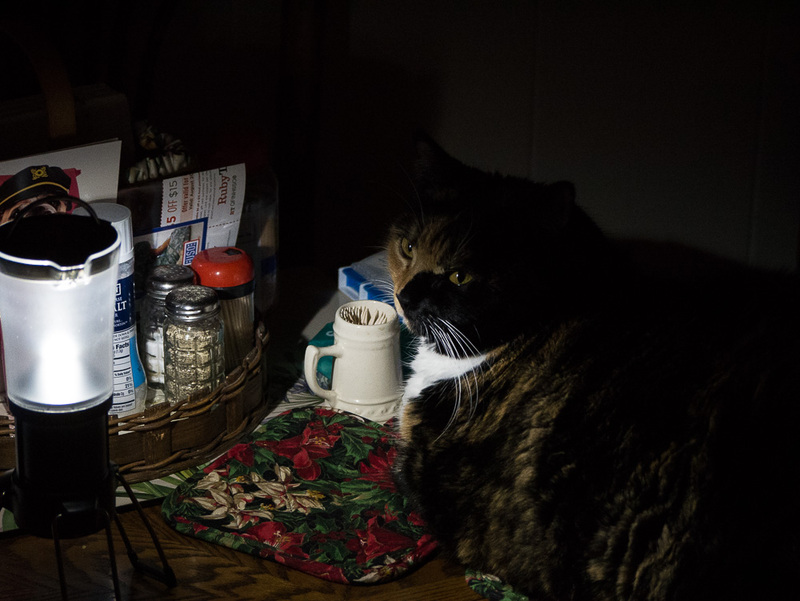 Not wanting to sit in the scary dark by herself, our cat Boots jumped on the table (pulled herself up actually using a chair for assistance) to get “into the light.” Cats are indeed cool.